Since the creation of online gambling a couple of decades ago, the industry has paired with the convenience and features of internet technology to quickly become an ideal source for entertainment. Players who would rather not spend a considerable amount of money on travel expenses and lodging have found an alternative in online slots and other games that they can easily enjoy at home. With that being said, investors are still somewhat wary in regards to the online gambling industry based on the performance of the past few years. 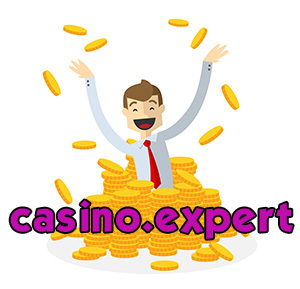 However, projections show that due to strong presence of quality sites coming to the forefront, the year of 2016 can show some positive results of the ever-increasing shift from traditional gambling to online gambling. In Canada alone, the governing bodies of each province have a sufficient amount of leeway as it relates to allowing the use of online slots and gambling sites for entertainment. Major regions such as Ontario and Quebec have taken advantage of these liberties, letting their citizens use online casinos as an alternative to travelling to land-based establishments. Additionally, certain provincial governments have established their own online gambling sites, which include popular card games, sports betting, and a direct link to the local lotteries. Though legislation was proposed a few months ago to regulate the type of online gaming that is available, it is doubtful that this bill would come to fruition, leaving the country of Canada with ultimate freedom in choosing a source for games. Another aspect to look at that will directly affect the future of online slots and other gambling in Canada is the newly elected Canadian prime minster Justin Trudeau. Being a member of the Liberal party and representing a major victory by said party, Trudeau is the sign of sweeping changes coming to regulation as it relates to the entire nation. Based on Liberal party influences on the provincial level, history would show that online gambling will get a boost from lax laws and regulations set forth by politicians. What’s more is that the government-owned gambling sites have been mostly underwhelming in their generated revenue, as players want more diversity and quality from the types of gaming they are searching for. These factors point to a strong future for the business that will be conducted by private online casinos. Canada has become a forerunner in the gambling industry because of the large demographic that advocates casino entertainment and the current laws of the nation that allow such businesses to prosper. If these establishments can continue to grow, they will make Canada not only a prime destination for online gambling, but also a major source for exporting such entertainment to other countries around the world. It is safe to predict that 2016 will start showing signs of this expanded growth, which will be great news for investors and companies alike that seek to usher in the next wave of convenient online casino gaming. Only time will tell, but things are starting to look on an upward trend as new life comes to the progressive gambling industry.